Christmas Eve will begin a couple of hours earlier for Walmart workers this year. The nation's largest retailer announced it will close at 6 p.m. this Saturday. In recent years it has closed at 8 p.m. on Christmas Eve. "Our associates work hard all year to make this holiday season special for our customers, and we truly appreciate what they do every day," said Judith McKenna, chief operating officer for Walmart's U.S. unit. "We also know that getting home on Christmas Eve to spend time with families is important. 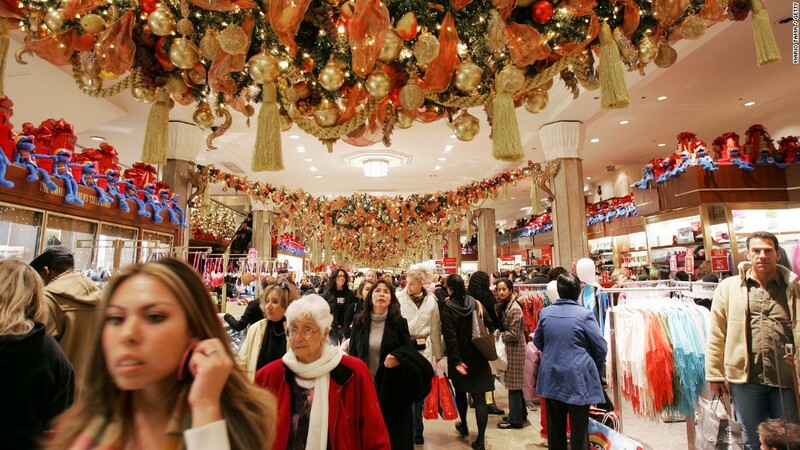 That's why this year we'll be closing at 6 p.m. on Christmas Eve." Walmart (WMT) has come under fire in recent years for kicking off its holiday sales season with "Black Friday" offers at 6 p.m. on Thanksgiving day, which requires employees to come to work on the holiday. The retailer has also been taking steps to retain more of its workers, raising the wages of more than 1 million employees at U.S. stores and changing their scheduling protocol to give workers more regular hours.